With the fresh air blowing and the birds chirping, Spring has finally arrived! It’s a new season for purging and cleaning up your office space or home. It’s time to shred sensitive documents, destroy old information storage devices, and any media and electronics that have been sitting around, collecting dust. It may be difficult to determine what documents need shredding because they contain all sorts of confidential or personal information. Of course, certain records need to be retained for a longer period of time, but it’s important to be clear on what needs to go. 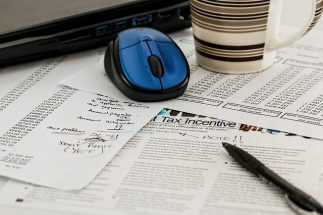 Tax and bank records are definitely important, but it’s recommended that you only keep 4 years of them on hand. It’s wise to sort through and shred sensitive documents like these records, because they contain detailed information which needs to remain secure. Businesses and individuals tend to save these records for far too long, increasing the risk of them getting lost or stolen. Personal and employee medical records shredding should also take place from time to time. Unfortunately, there have been numerous cases of people having their medical records stolen. Employee medical records are highly confidential and should be shredded as soon as the employee is no longer working. You may not realize that hard drives and other electronic media that store information also require shredding. Just because you delete data files off of a computer or flash drive does not mean it’s gone forever. There are several kinds of data retrieval software out there that can be used to recover deleted information. Taking it another step with a hard drive destruction service makes the data irretrievable. Sure, there are multiple ways to shred sensitive documents and electronics, but why shouldn’t the method you choose be efficient and cost-effective? It’s easy to find a mobile shredding service that can handle the job for you. Mobile shredding trucks can come straight to your location and perform the shredding right there on site. There’s no other secure and cost-effective way to shred sensitive documents. IntelliShred has been a shredding industry leader since 1999. We provide security shredding services and confidential electronics destruction, as well as other information security solutions. We are committed to maintaining the highest ethical standards and practices, and outstanding, personalized service. 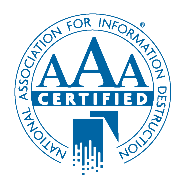 We’re proud to be members of the National Association for Information Destruction (NAID) and we have consistently achieved AAA Certification – the highest level of security in the shredding industry. 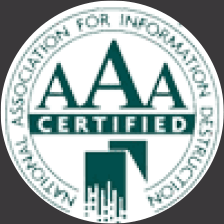 Contact us today for more information of how we can help keep your information safe.